Joseph 'G.I. 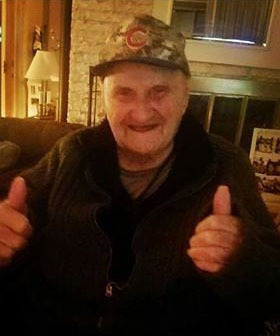 Joe' Slavik turned 104 years old on December 5, 2016. 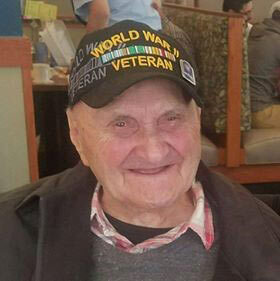 LAGRANGE PARK, IL -- A veteran is celebrating his 104th birthday on Monday. Joseph Martin Slavik was born in Chicago on December 5, 1912 - the fifth out of 14 children. 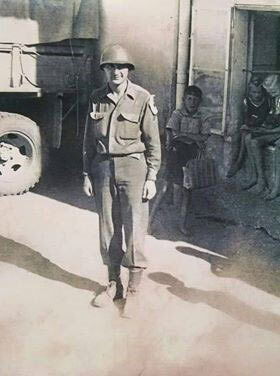 According to his family, Joe worked as a delivery boy for the United States Postal Service until he was drafted into the U.S. Army during World War II, where he gained his nickname of "G.I. Joe." Joe faced death many times during the war, but said he credits his survival to his faith. When he returned from the war, he worked for the Chicago Transit Authority for many years. Later, he took a job as a "hot walker" at Arlington Race Track, where he worked until he was 94. 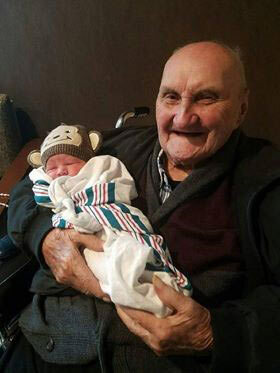 Joe and his wife Irene had three daughters, 14 grandchildren and just welcomed his 18th great-grandchild two weeks ago. He now lives with one of his daughters and his granddaughter.